StreamWerx has joined HOPE in a movement offering breakthrough solutions to one of the world's greatest problems: childhood malnutrition. More effective than charity operations, HOPE is a Social Business platform, harnessing the power of a people movement to address the global problem of childhood malnutrition. Every purchase helps nourish a child in need. Think Tom Shoes for nutrition with the power of a kickstarter campaign. An orphanage in Romania was losing 40 children per year from malnutrition. When Manna Relief came to their aid with the nutritional supplements in Hope Blend and Hope Puffs cereal, the death rate dropped to zero. 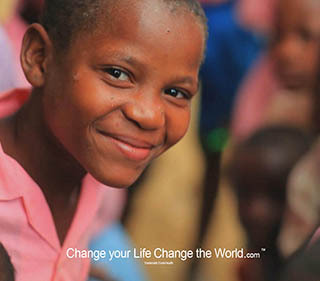 You can provide this life changing nutritional relief to children across the globe. Every purchase generates a donation of equal servings to malnourished kids. Please join us. Get healthy, nourish kids, enjoy the rewards. Contact us for more information on these innovative whole foods and supplements that are transforming lives. And come back soon to see video stories of lives being changed. Call 704-421-3595 or Email for more information. If you have questions about products, or would like more information, please leave your name and contact information.